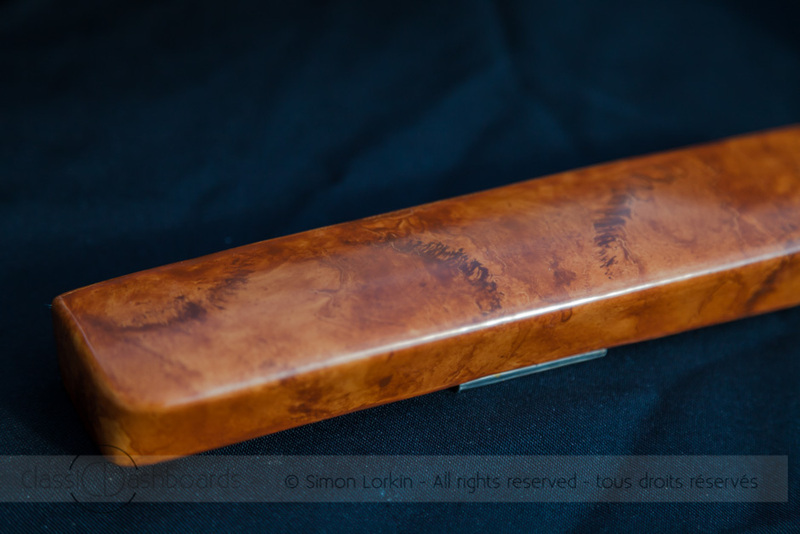 Facel Vega – Hand painted wood effect for metal dashboard and other items. 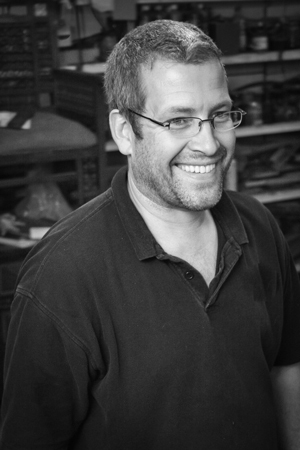 Restoration by craftsman Simon Lorkin – Classic Dashboards – Normandy – France. 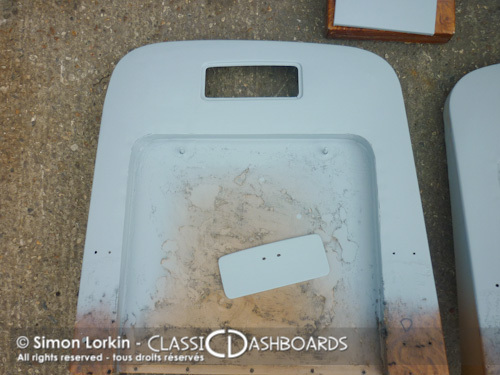 Simon Lorkin has for several years been offering his restoration services for the French Facel Vega car dashboard and interior trim. 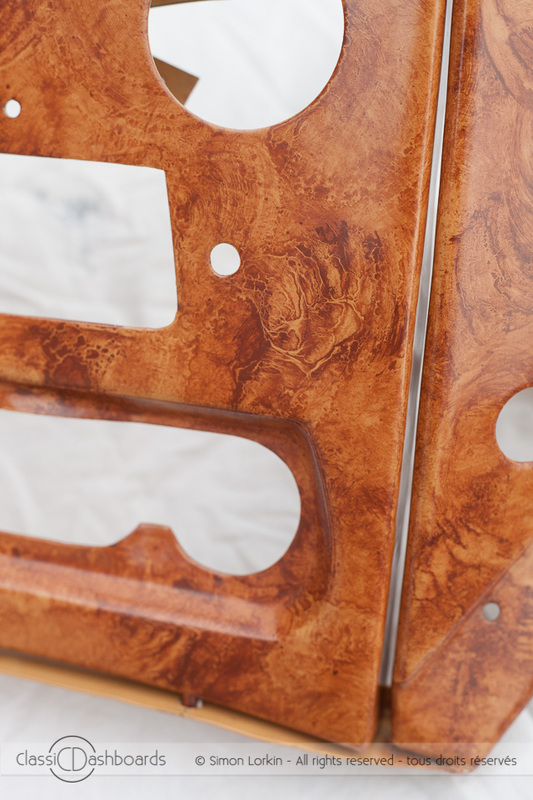 It’s a car with a unique wood effect that some say isn’t a ‘realistic’ wood effect so we call it the ‘Facel Style’. Facel Vega cars were manufactured between 1954 and 1964 and are beautiful cars. 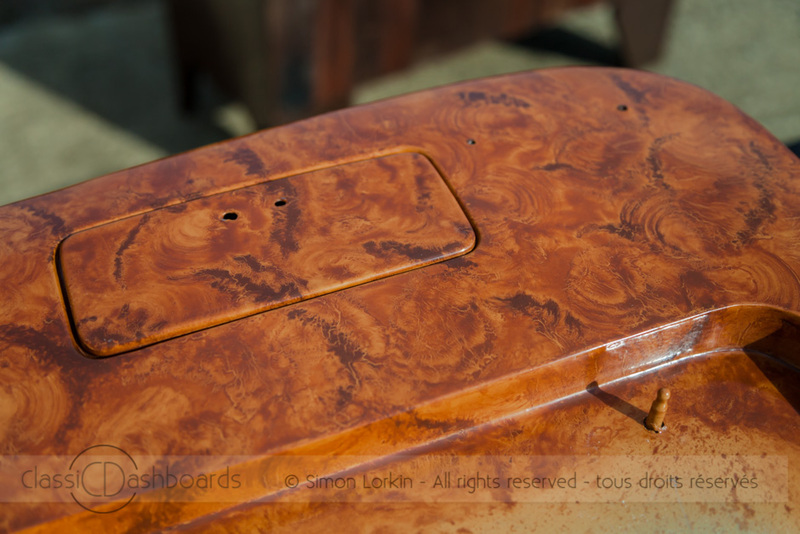 Simon invested over three weeks of his time to discover and perfect the methods, colours and materials necessary to produce his version of this unusual effect and is now known in France as the Master Craftsman capable of bringing these dashboards back to their former glory. 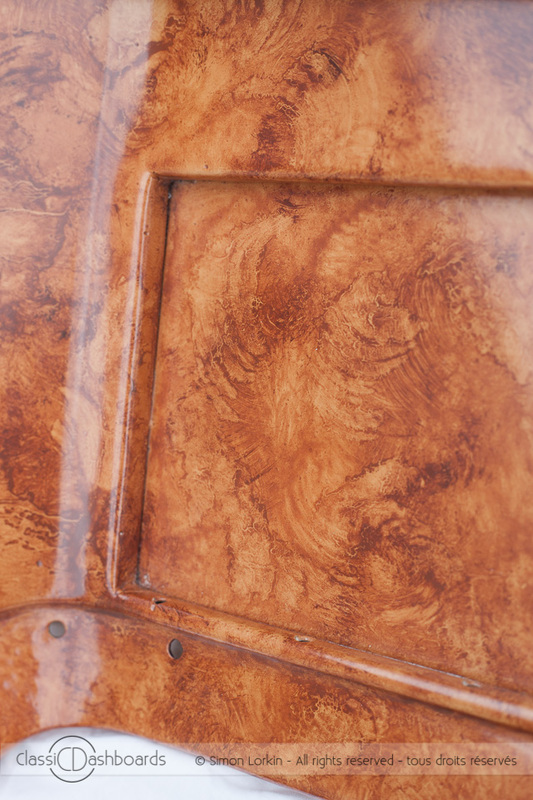 The hand painted wood effect appears on the dashboards of several of the cars and some have seat backs and a middle ashtray in the same ‘Facel Style’ wood effect. 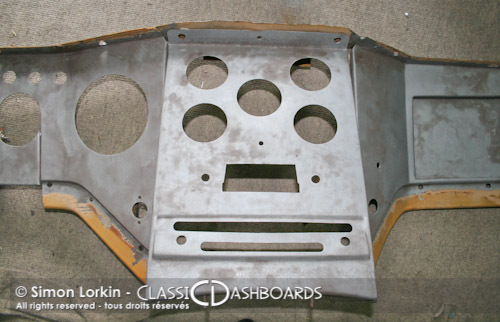 Before photos – A Facel Vega Excellence II in need of restoration. 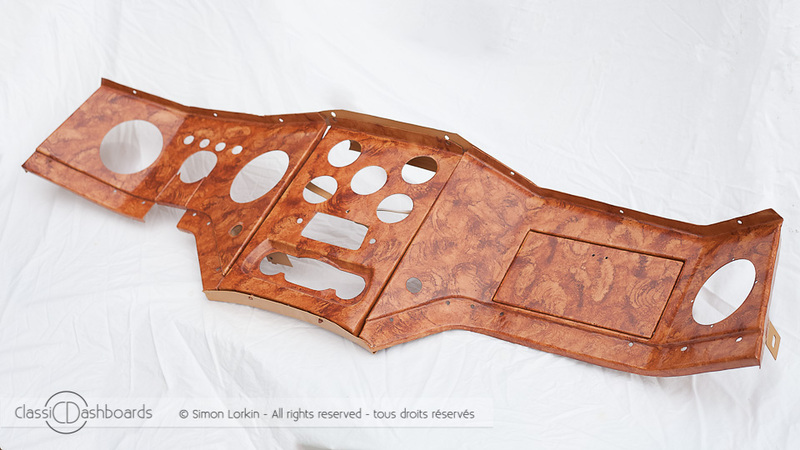 Depending on the interior and bodywork colours of your Facel Vega you can choose to have your dashboard restored with a new ‘Lighter’ or ‘Darker’ Facel style wood effect, understanding than in all cases there are never two dashboards exactly the same as the Facel Vega wood effect is painted by hand. 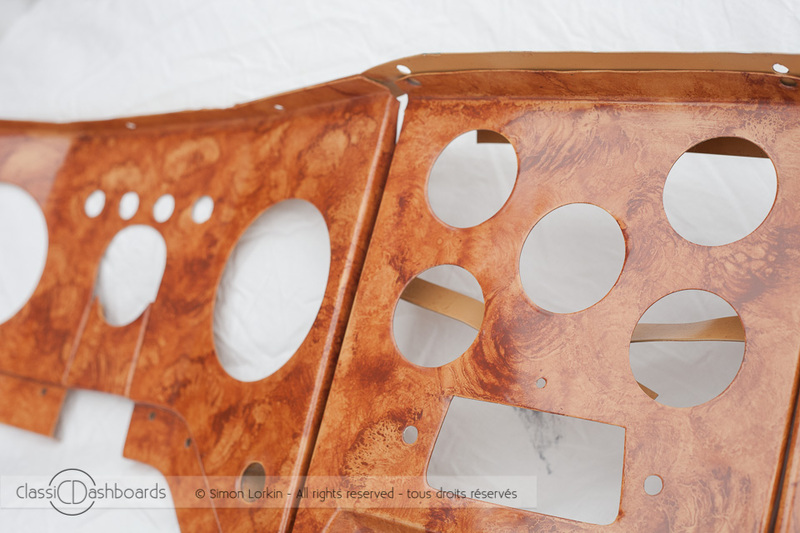 The following photos at the top half of this page are Facel Vega dashboards in the ‘darker’ style and the lower half of the page are in the ‘lighter’ style. When we describe the ‘darker’ style it means with brown nuances and areas, interspersed throughout the dashboard where as the ‘lighter’ style doesn’t have these and is more unified in colour. The choice is yours. 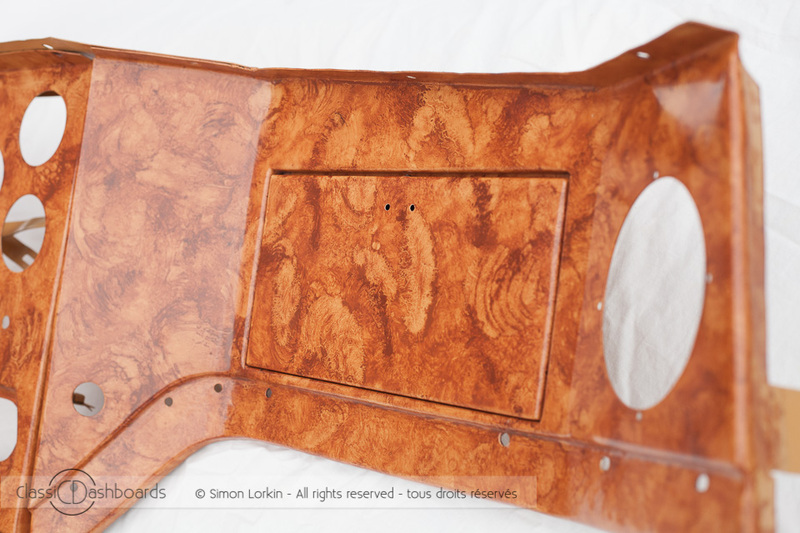 Options for supplying your Facel Vega pieces for restoration. 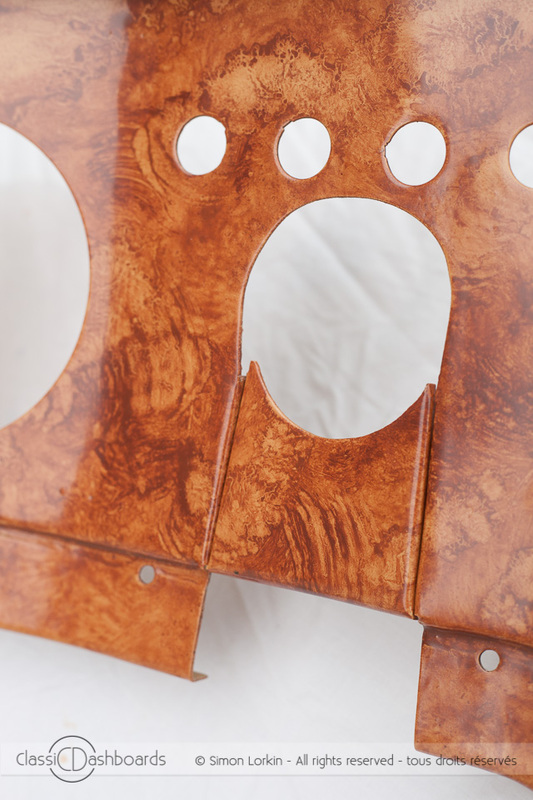 You can choose to supply your pieces as they are (i.e just the metal stripped of any instruments, leather or switches etc) or you can supply the items already sandblasted and well prepared with epoxy primers and ready to paint. Please contact me for more information on the price differences and specifications if you’re preparing your Facel Vega dashboard yourself for its restoration. 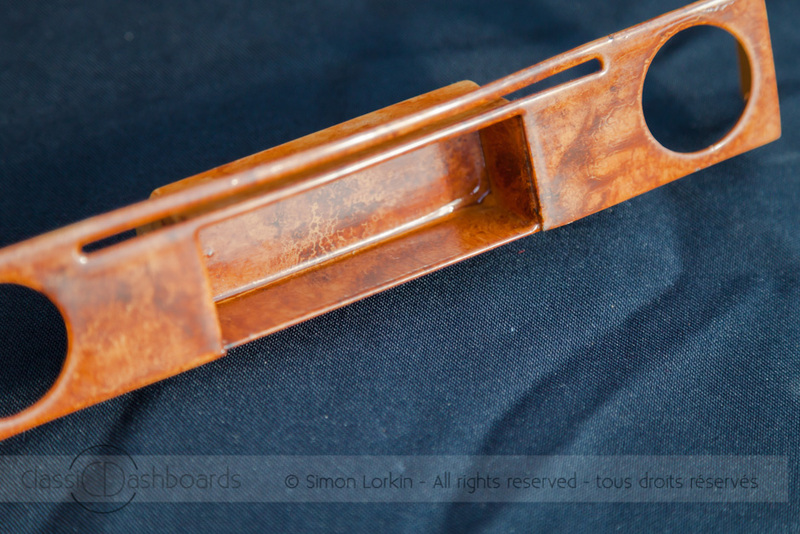 [ PRESS ARTICLE ] – Classic and Sports Car Magazine[ VIDEO ] Facel Vega dashboard restoration with hand painted wood effect. je restaure une facel vega hk 500 de 1961.
quel serait le prix approximatif de la restauration du tableau de bord sablé et âpreté par mes soins et déposé chez vous ? Je vous remercie pour votre intérêt. Je vous ai répondu avec plus d’informations par mail.